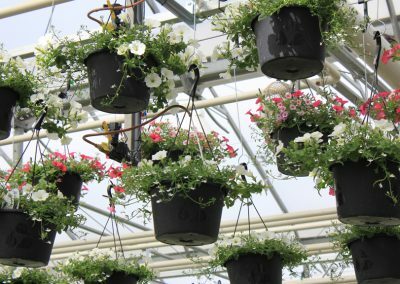 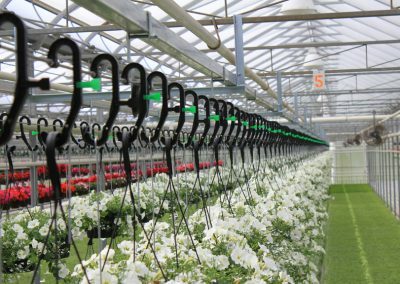 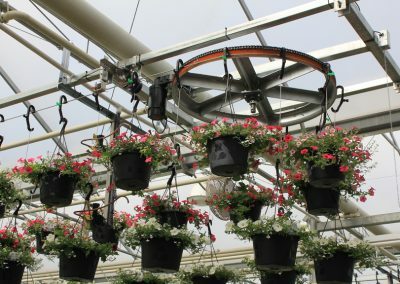 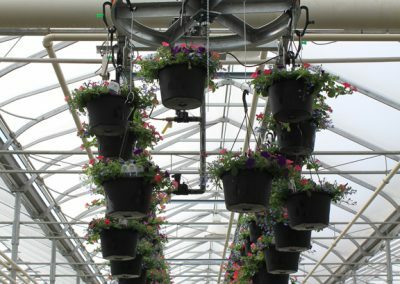 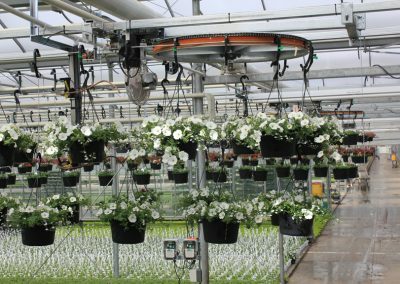 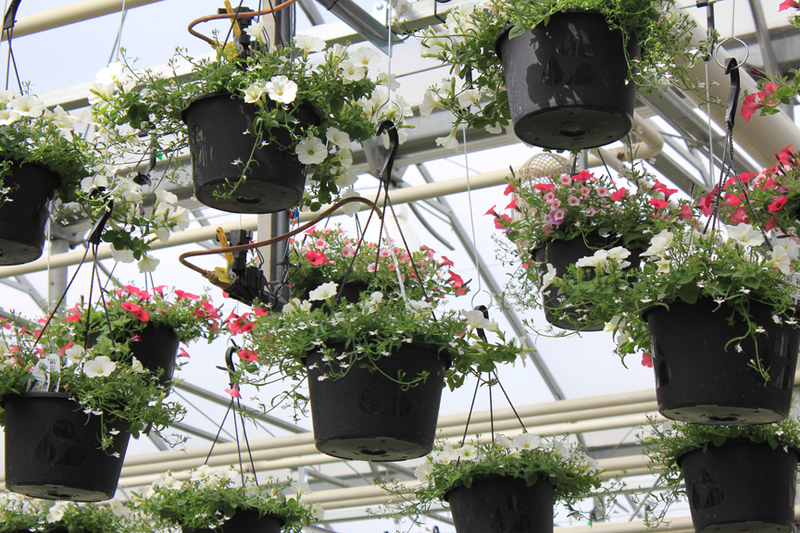 For more than 25 years, the ECHO® boom irrigation system has been the industry standard for automated hanging basket systems. 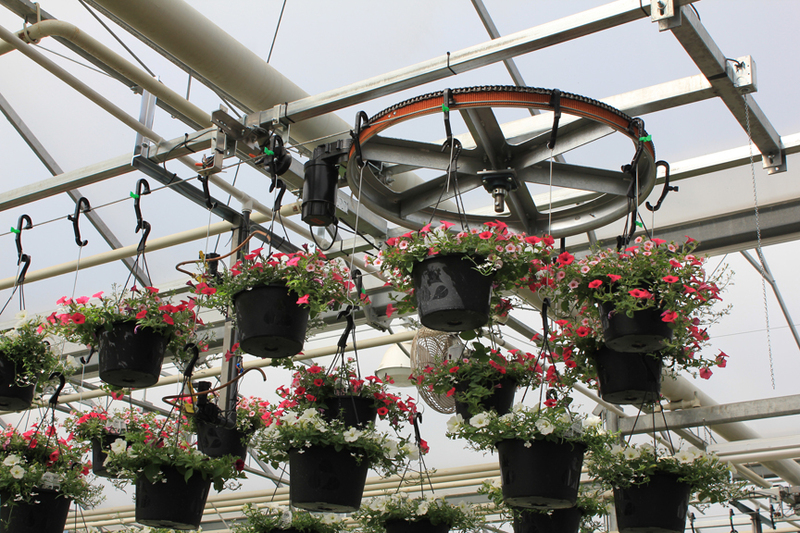 The ECHO boom irrigation system is the most cost-effective way to increase plant quality and boost labor efficiency. 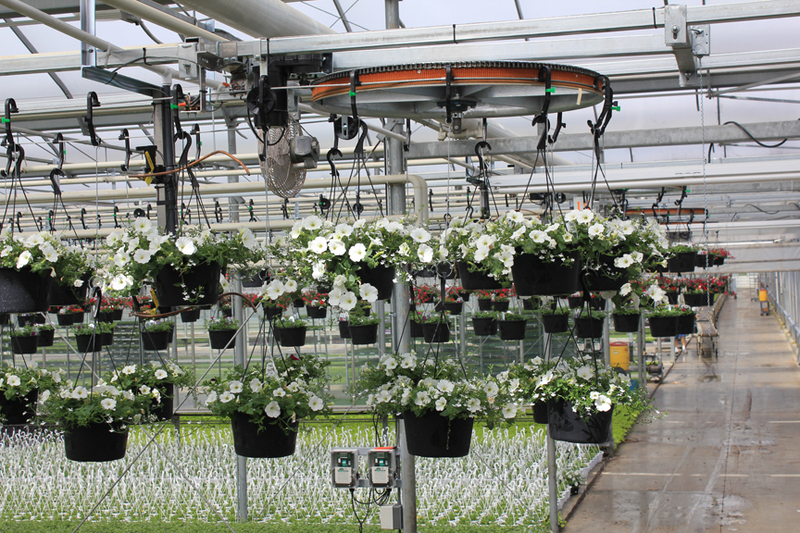 A new 50-inch addition to our 40-, 30- & 20-inch options. 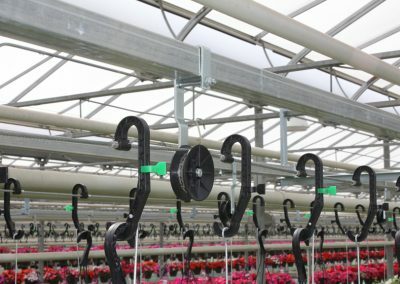 Improved design: better weight load balance and easier installation. 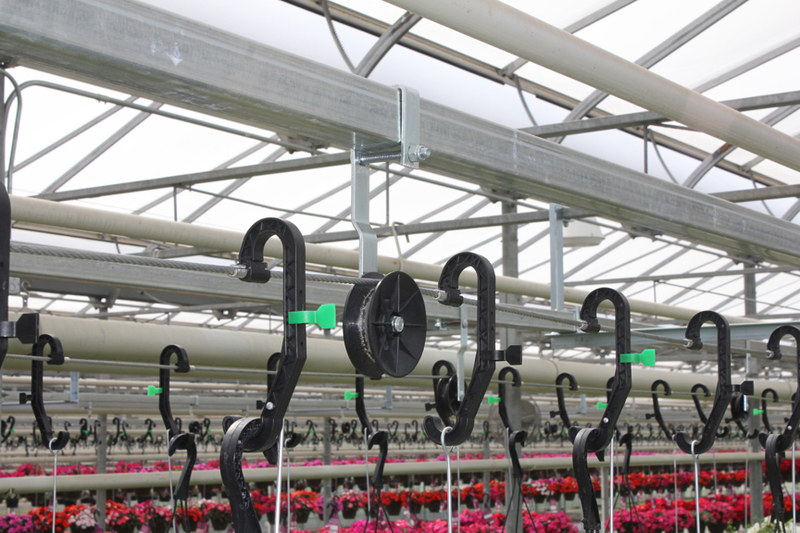 Variable-speed AC motor option: watering speeds can be set slow eliminating basket. 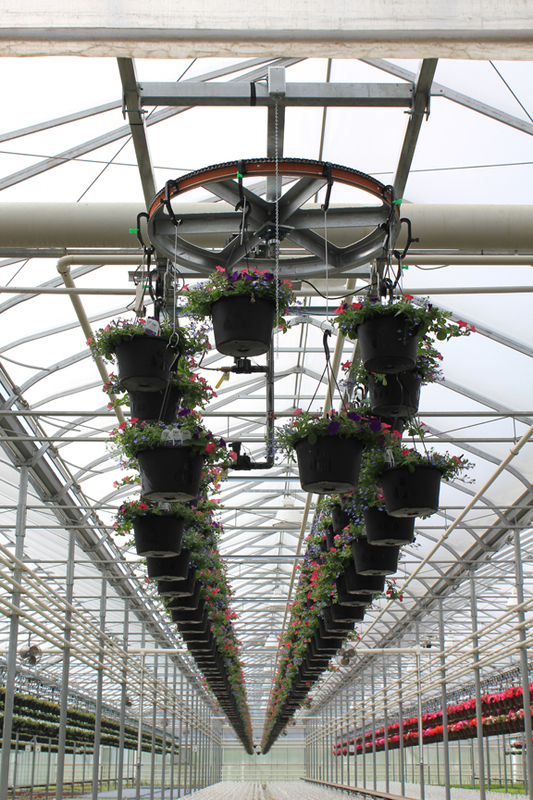 Separate programmable watering times for each layer: grow different size baskets on each one. 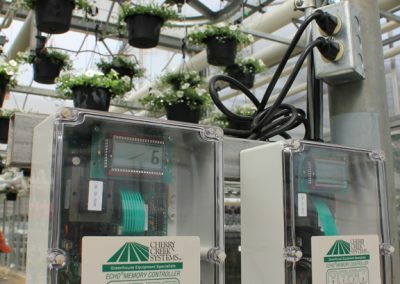 24-hour clock for automatic start and stop times: have your watering done before your coffee is brewed. 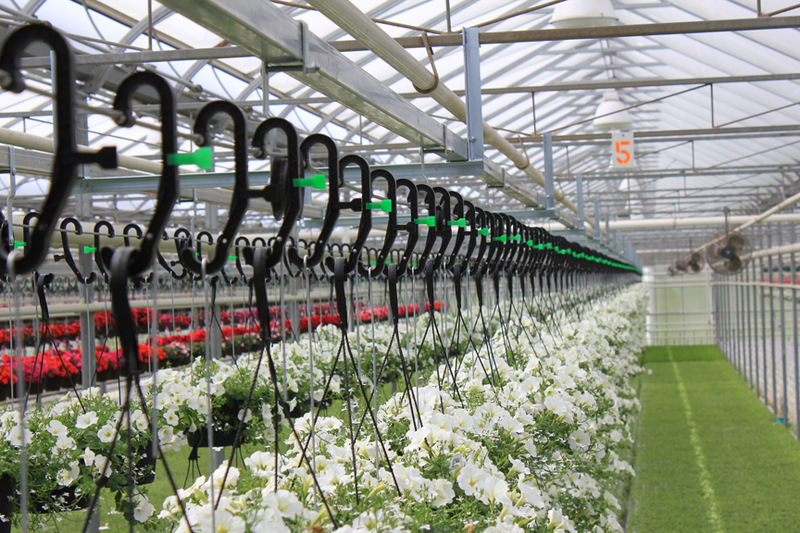 Remote start function: for interaction with Environmental Control System. 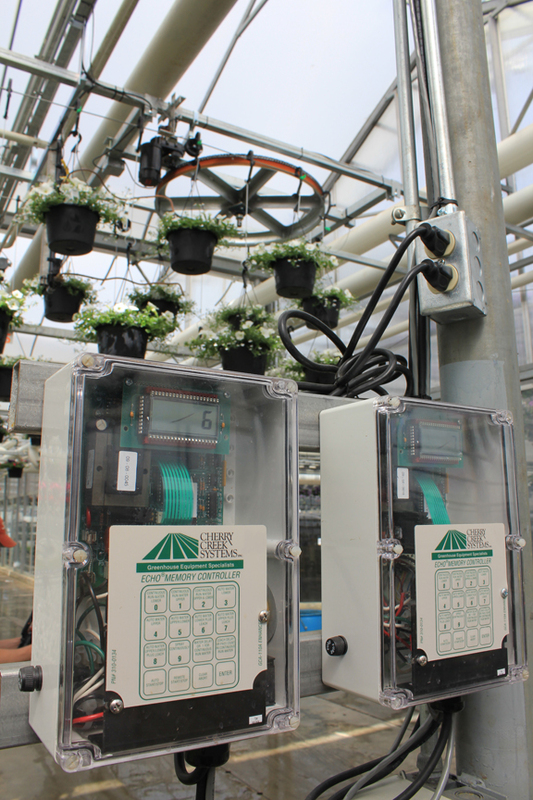 The NEW REVERBTM touch screen PLC controller: program up to 16 ECHO systems from one central controller.